The selection process will occur after the registration period is over. On the 10th of October we will let you know if you have been selected. Mondly Coding Challenge is the perfect opportunity for you to shine, develop out of the box products and share your best ideas. All in a tech-focused environment designed to spark innovation and creativity. 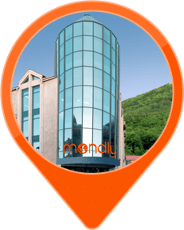 Mondly Coding Challenge II takes place at our headquarters in Brasov on the 13th of October, 2018. If you believe you are ingenious enough to destroy the Death Star with a single line of code, register now and win the "jedi master coder" title and the big prize of €1000 in cash! MAY THE CODE BE WITH YOU! Even though it’s a competition, Mondly Coding Challenge is also a community event intended for networking, collaboration and learning. The success of the first edition stands as proof that great things can happen if you gather 35 jedi coders from 5 cities in one place. 7 of the 35 managed to deliver beautifully crafted and fully functional products. To this day, the jury is still amazed by the skill set of our winners. 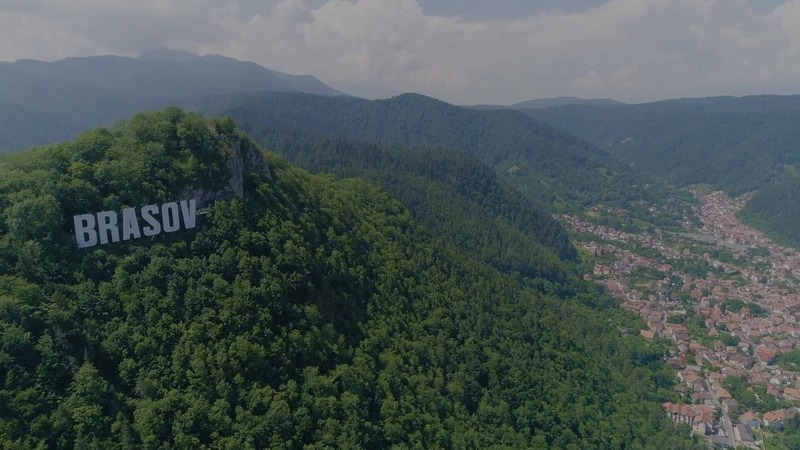 Congratulations Andrei, Andrei-Timotei, Cosmin, Martin, Adrian, Bogdan and Ciprian! Get in touch with history, meet new people and sip the best coffee. Take a peaceful walk near the office and recharge your batteries. Spend some quality time here. Alone or with your friends after work. Listen to the everlasting mythical stories murmured by its 14th century walls. Get your shopping done before going home. Finish your studies while working with us. Several faculties are also nearby. All the answers you seek are right here. What is Mondly Coding Challenge? Mondly Coding Challenge is a coding competition organized twice a year by Mondly. Its goal is to bring together coders from all over the country and challenge them to unleash their true potential. The winners will not only win €2000 in cash prizes, but also friends, a great deal of experience and fame in the Coding Universe. Do I have to pay a fee to enter the competition? The registration to Mondly Coding Challenge is FREE of charge. Will the organizers serve food at the event? Yes. As a participant, you will enjoy 3 tasty meals throughout the day and other goodies such as cookies and smoothies. Don’t worry, beer and pizza will be included in the menu. During the challenge, you can use any programming language you want. However, the jedi master coders from the jury advise you to wisely choose a programming language that will help you deliver a fully functional product in the given time (12 hours). What is the contest’s challenge? The challenge will be revealed 2 days prior the actual contest, on the 11th of October. Install all the programs you think you’ll need during the challenge and bring only your laptop and inspiration. We’ll take care of the rest. Who owns the rights to the products I created during the event? All the projects that were created during the event remain the intellectual property of the individuals or entities that have developed them. Any enthusiastic developer or team of two developers with at least 2-3 years of experience that take coding seriously and have a proven experience in building fully functional products. Who are the people behind Mondly Coding Challenge? Mondly Coding Challenge is organized by the #peopleofMondly, a team of contagiously positive people who have fun while delivering one of the best language learning apps in the world. Where and until when to apply? Click the "register" button on the top of this page and fill in the required information, but no later than the 9th of October 2018, 23:59. The event will take place at the Mondly headquarters, on Politehnicii street. You can’t miss no. 3. It’s the rocket building! What is the actual coding time? You will have 12 hours to craft and deliver a fully functional product. If you have more questions, feel free to email us at 'mcc@mondly.com'. ©2019 ATi Studios. All rights reserved.